The Land Rover Defender is unquestionably one of the most capable 4×4 vehicles ever manufactured but as tough as it is, some have had a hard service life. We still believe there is life left in some of these older vehicles but not all require a ‘ground up’ restoration – we take your tired old Landy and assess it, then make any necessary repairs to ensure it continues to be a road worthy and fit for duty for a few more years. 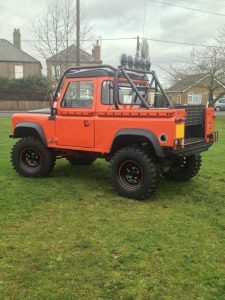 If you’ve got an old Series Land Rover or Defender Land Rover and are thinking about selling, repairing or just giving up on your project – give us a call first. We can help! 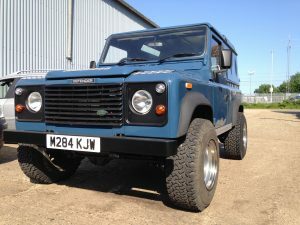 We have a great deal of experience providing custom rebuilds for Land Rover Defenders. Our commissions range from complete ‘chassis up’ rebuilds to simply adding greenlane accessories such as roll cages or snorkles. Please contact us if you are interested in these services or are looking for advice. If you want to export a Land Rover overseas or intend to drive overseas you may need to ensure it meets the correct specification requirements. We can help you make any necessary changes to components or advise you of any aftermarket components which may or may not be suitable. We recommend you contact us to discuss your requirements in detail. We will be happy to advise you accordingly. Some vehicles just need good servicing or repairs. Our experienced engineers can perform everything from small mechanical repairs to completed engine overhauls. Working with Land Rovers for many years means we are not only fast, but can often diagnose knocks, bangs and squeaks and how best to remedy them.